Apples! Almonds! you name it! chances are a bee has been busy helping it grow. In fact you may be surprised to learn that bees are responsible for one third of the food we eat. And yet they are not being protected from harmful pesticides approved for use right now. They are quite literally dying. Would you want to wake up without coffee or fruit on the table? Not to mention flowers all around? 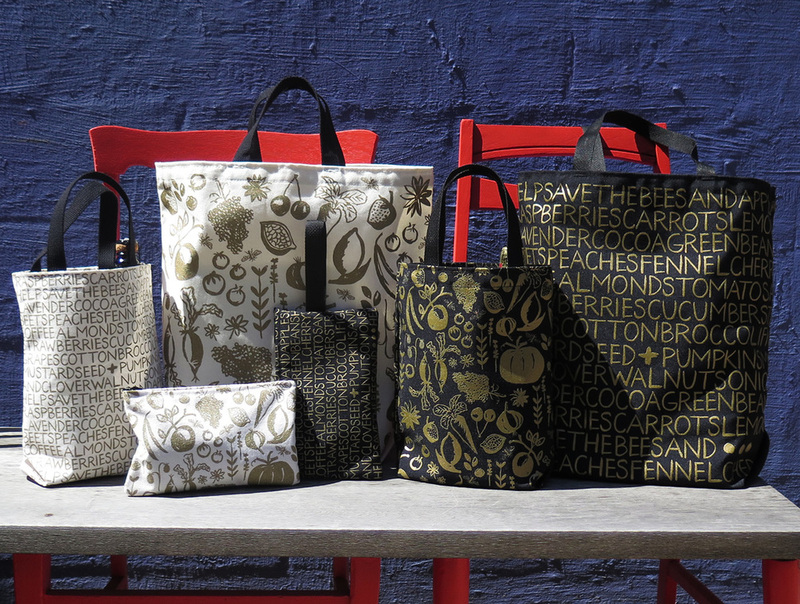 This year's pattern for good is launching at the National Stationery Show on May 17-30 in NYC. The pattern is double sided: one side has painted images of the fruits, vegetables and plants that will be most affected by their loss. On the other side they are actually spelled out in a painted typography similar to those found on farmer's market signs as sometimes an image is not enough. This is a truly serious issue! A portion of the proceeds from the “save the bees and” collection will be donated to help protect the bees and our food. stay tuned for more information about which organization(s) will benefit. And the collection will be available here in July! 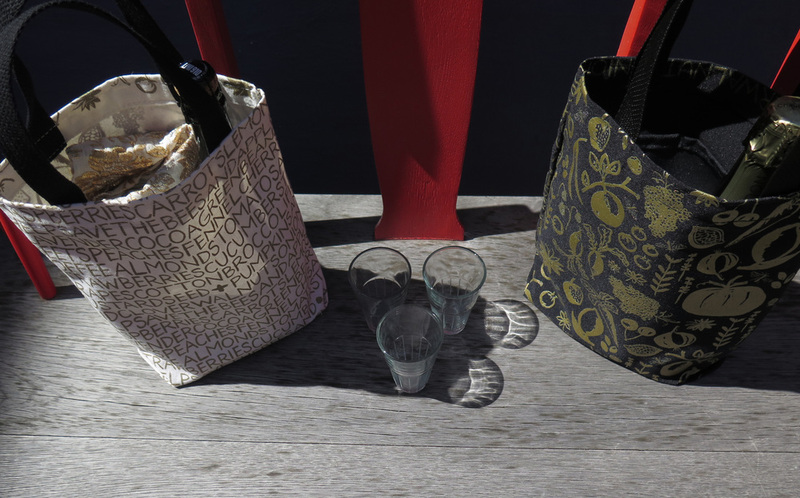 New styles include the Wristlet, the Lady Mini Vino and the Lady Farmer available in the recycled cotton canvas as well as a black bottle bag made from recycled soda + water bottles. And we are proud to say that the Lady Mini Vino (first 3 images above) is a finalist in the Best New Product / Eco Chic category.